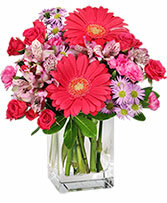 Honor them by sending this cheery Oh Happy Day! 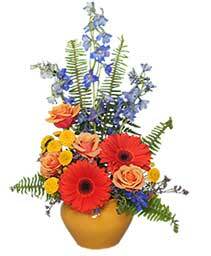 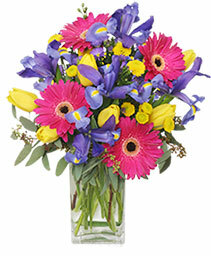 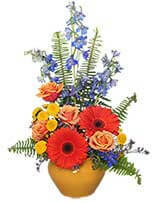 bouquet of gerberas, lilies, delphinium and other bright seasonal flowers from CHARLOTTE'S FLOWERS & GIFTS! 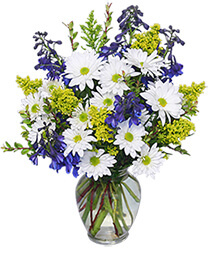 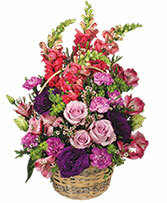 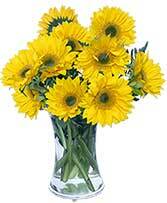 You may call us to send flowers or order flowers online anytime, day or night! 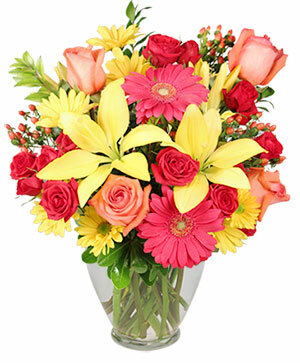 Sometimes the very best gifts are for no reason at all. Sending flowers just because is the best way to make someone's day. 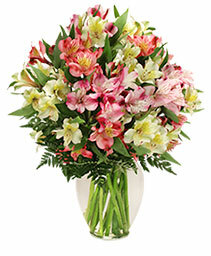 Send Mom a small vase of lilies to say "Thinking of you," or maybe your sweetheart a dozen roses just because "I love you." Whatever your message, CHARLOTTE'S FLOWERS & GIFTS can help! 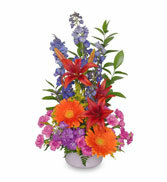 Let us create the perfect flower arrangement for any occasion you can think of!